Jordan Ingram reporting for FishDuck.com at Hatfield-Dowlin Complex in Eugene, Oregon. Frost continues to guide the Oregon offense to new heights in his second year as offensive coordinator. 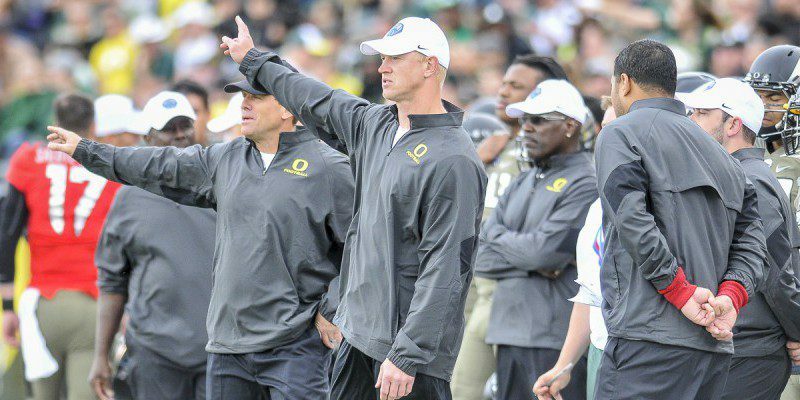 Oregon’s offensive coordinator Scott Frost is no stranger to success. In 1997, Frost led his alma mater Nebraska Cornhuskers to a perfect 13-0 season and a national championship. He was also a Johnny Unitas Golden Arm Award and Davey O’Brien National Quarterback Award finalist. But football is a team sport and the former Husker quarterback is the first to point out that the success of this Oregon football team is something special. A real special team. Oregon has overcome adversity and cleared nearly every obstacle in its path, winning the Pac-12 Championship game and the Rose Bowl. Frost attributes this team’s exceptional performances to the players’ belief in the coaching process. 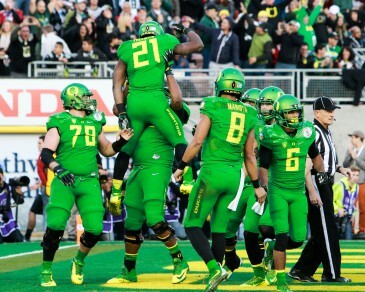 The Oregon team stands united as it prepares for the national championship game against Ohio State. Oregon’s victory in the Rose Bowl semi-final game has afforded them a title bout for the ultimate prize against B1G Champions, the Ohio State Buckeyes, a team Frost believes is every bit as good as advertised. “They are as good as anyone in the country. 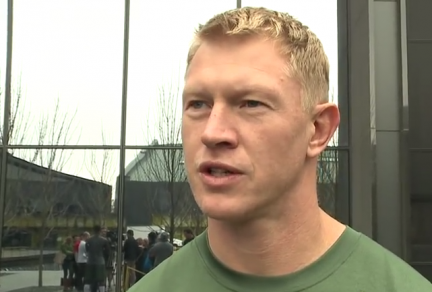 This [Buckeyes] team has had a great year and has a ton of really talented guys,” Frost said. While the Oregon ”Win the Day” philosophy remains firmly in place for Oregon, it’s clear that the Ducks will continue working diligently, continuing to push themselves this week to prepare for a tough Buckeyes squad. “It’s one more game. It’s Game 15 and we’re playing another really good team. So, we have our work cut out for us,” Frost said. Today, national and local media swarmed the black-mirrored windows of the Hatfield-Dowlin superstructure, eager to speak with some of the most electric players in college football. But for Oregon, the coaches’ song remains the same: play as a team and stay true to the system. “And I think this team, this year, has bought into that more than any team than we’ve had at Oregon,” Frost said.